Since late 2010, JX PCB has been fully implementing its expansion plan. JX PCB has purchased 50,000 M2 of industrial land in Jiangxi province used for building up the 3nd factory of JX PCB company. To construct 300,000 M2 of modern plant and put into operation in the end of 2013.
and the order size for: sample, prototype, small-to-medium and volume size PCB production services. To finish constructing 3 of modern plant buildings with total area of 70,000M2 to achieve monthly capacity of 60,000M2. JX formally invited influential people in the PCB industry to participate in the celebration of the fourth anniversary of its establishment. JX was awarded“Enterprise among Private Enterprise Growth Projects” by Bao''''an District, Shenzhen City, China. 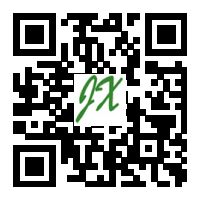 JX joined Chinese Printed Circuit Association (CPCA). JX passed the certification of TS16949 Quality Management System. 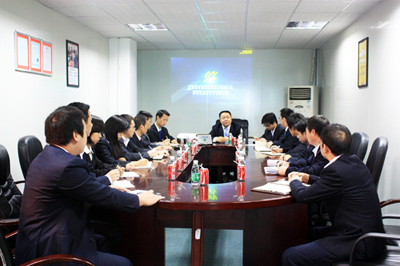 JX won the title “National High-tech Enterprise”. JX set up Xi''''an office and Guangzhou office. JX attended exhibition held in Xi''''an, Hong Kong, Beijing, Wuhan, Mumbai in India and Chengdu, this greatly enhanced JX brand influence. The Company celebrated its third anniversary of its establishment. The Company organized employees to participate in “Summer Day Cup” sports meet and gained excellent achievements. The Company expanded its plant and removed to the new plant in June 2008 with plant area and capacity twice that of the old one. To show our love, we donated money and materials to people who suffered from Sichuan earthquake to help them get out of the trouble as soon as possible. We successfully participated in exhibitions held in Chengdu, Shanghai, and Hong Kong in succession. The Company held an annual celebration party for the second anniversary of its establishment. The Company was awarded “Excellent Supplier of 2007” by Datong Machinery Co., Ltd. again. The Company organized travel for all the employees on International Labor Day. The Company passed the second UL certification successfully. According to Methods on Recognition and Assessment of Shenzhen High-tech Enterprises, the Company was honored as “Shenzhen High-tech Enterprise” after being assessed by experts organized by municipal authorities and science and technology bureaus of districts at different levels. The Company celebrated the first anniversary of its establishment. The Company was awarded “Excellent Supplier of 2006” by Datong Machinery Co., Ltd. The Company passed the certification of ISO9001:2000 Quality Management System. The Company passed the first UL certification successfully. The Company passed the certification of RoHS Management System. The plant of the Company officially came into operation on November 18.